An open-plan office is a type of office design set in a large space unhindered by physical walls and cubicles. Employees have their designated tables usually without any barrier between them. This open setting was designed to encourage open communication and teamwork among employees. It is also an ideal setting for accommodating a large workforce. However, the idea of an open-plan office has been mostly met with reluctant enthusiasm. Often, it can be intimidating and overwhelming for a new employee and privacy is not easily afforded. Clashing of personalities is also most likely to happen often in an environment without a physical barrier. Most of all, it is a difficult place to conduct work which requires complete focus when a group discussion is going on just a few feet away. 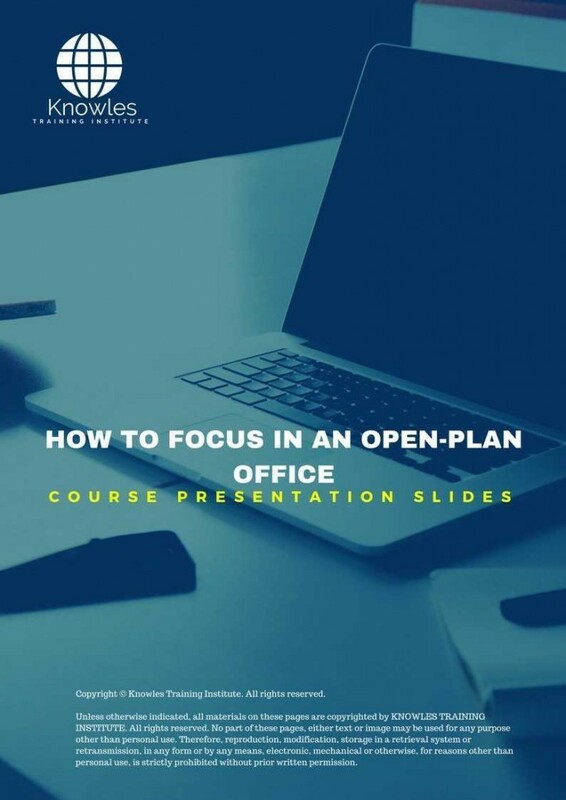 To address this particular downside of an open-plan office, this course will help participants to come up with ways to stay focused personally and with the aid of co-workers and bosses. This How To Focus In An Open-Plan workshop is ideal for anyone who would like to gain a strong grasp and improve their How To Focus In An Open-Plan. The duration of this How To Focus In An Open-Plan workshop is 1 full day. Knowles Training Institute will also be able to contextualised this workshop according to different durations; 2 full days, 1 day, half day, 90 minutes and 60 minutes. What is the difference between an open-plan office and other types of offices? What are the pros and cons of an open-plan office? 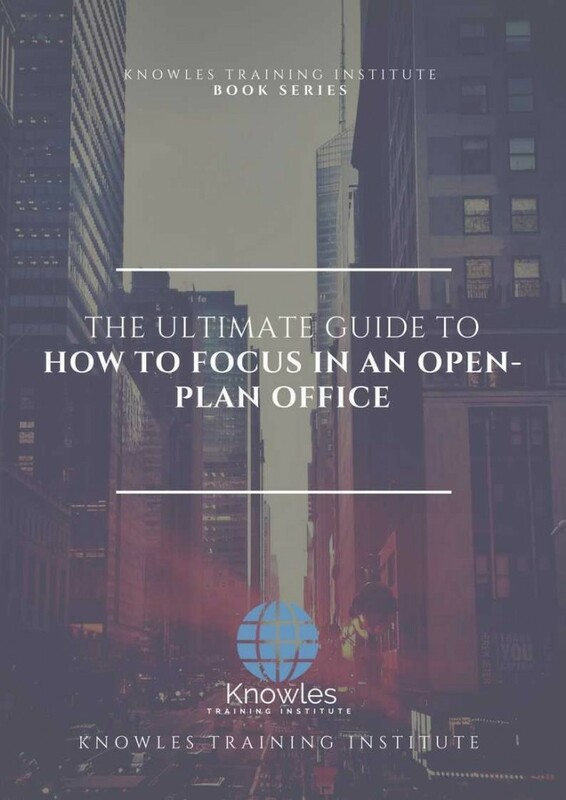 Why is it important to maintain focus in an open-plan office? What are simple ways you can do to stay focused in an open-plan environment? Exercise: How do you respond to disruptive situations in the office? How can you apply your enhanced ability to focus on situations outside of work? 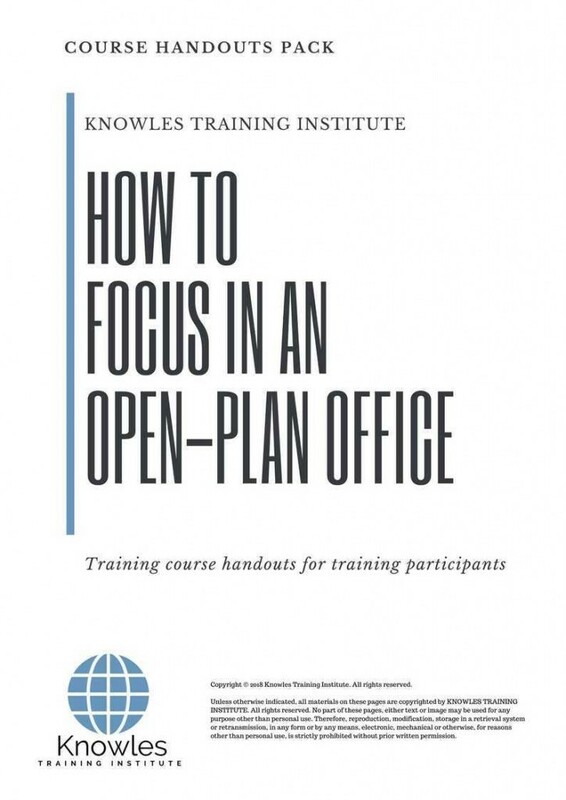 There are 3 pricing options available for this How To Focus In An Open-Plan training course. 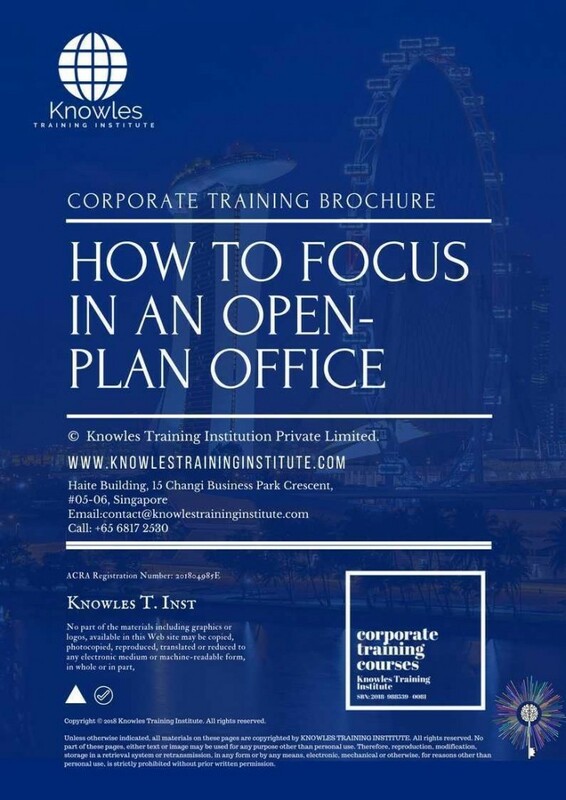 Course participants not in Singapore may choose to sign up for our online How To Focus In An Open-Plan training course. 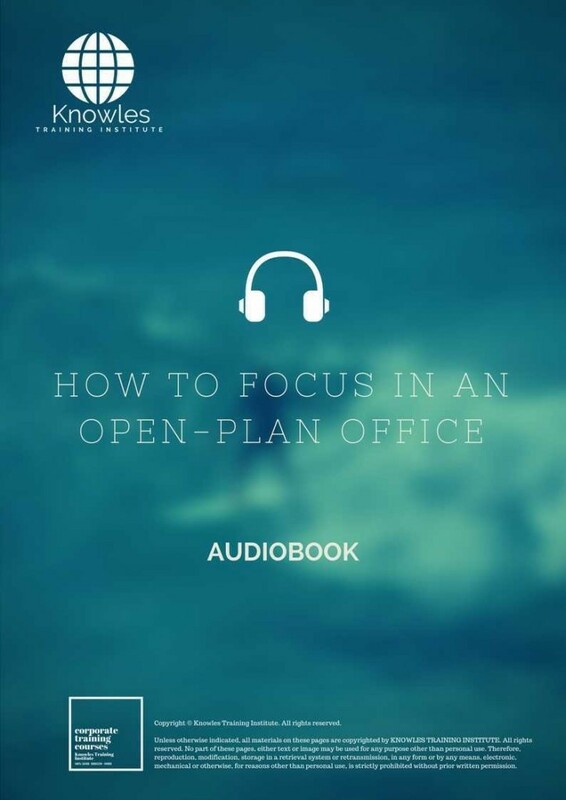 Request for this How To Focus In An Open-Plan course brochure. Fill up the short information below and we will send it to you right away! 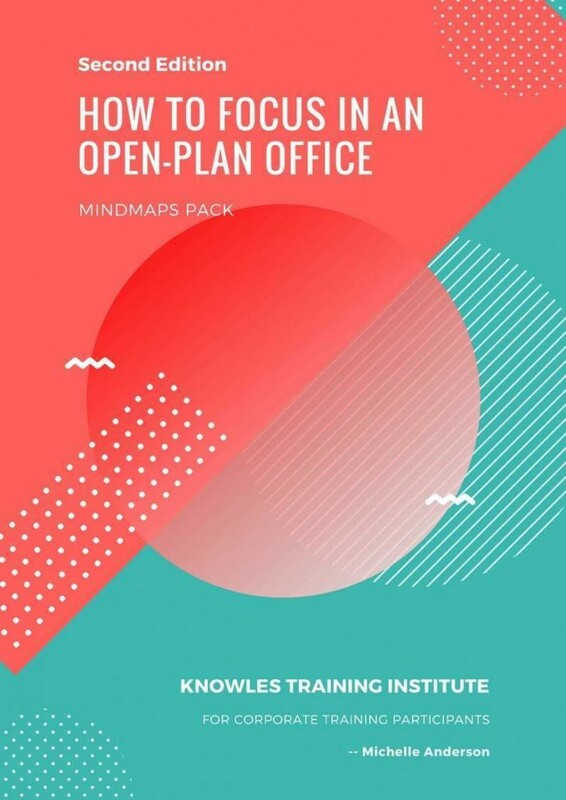 Register For This How To Focus In An Open-Plan Course Now! 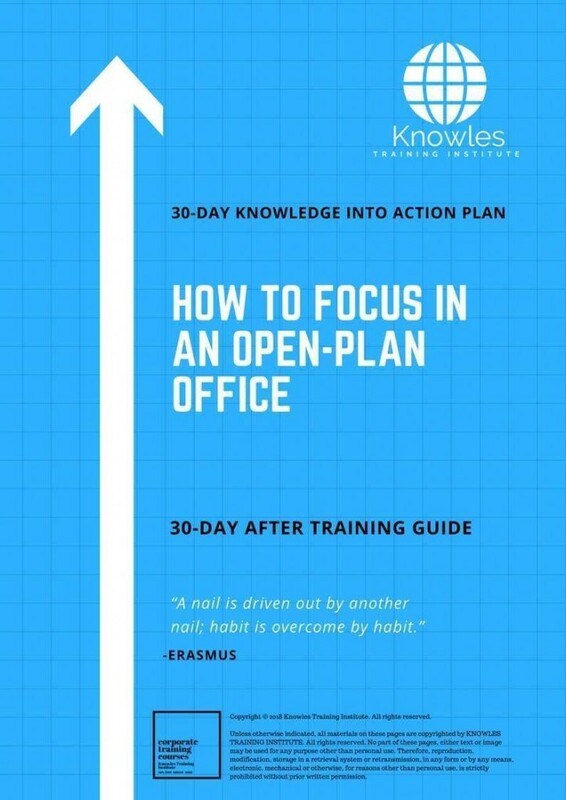 Share This How To Focus In An Open-Plan Training Course! How To Focus In An Open-Plan course, workshop, training, class, seminar, talk, program, programme, activity, lecture. 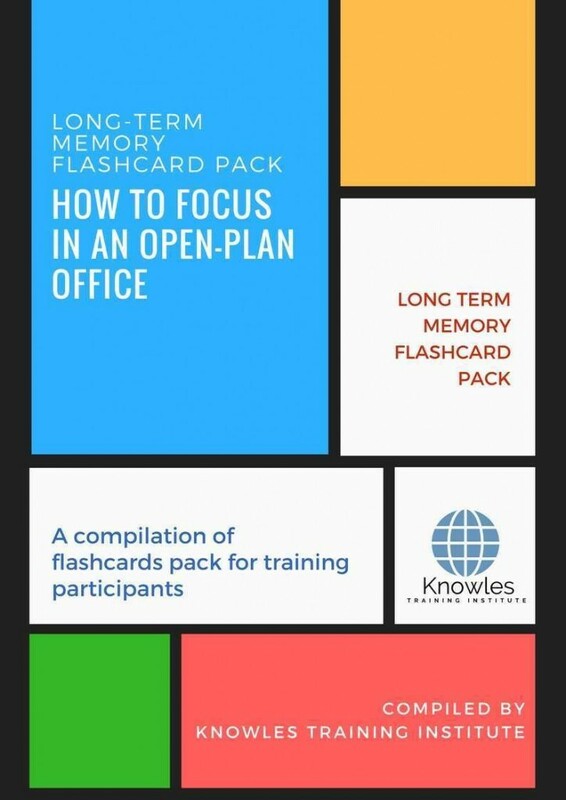 How To Focus In An Open-Plan courses, workshops, classes, seminars, talks, programs, programmes, activities, lectures in Singapore. How To Focus In An Open-Plan improvement tips, How To Focus In An Open-Plan techniques, improve How To Focus In An Open-Plan, improve How To Focus In An Open-Plan games, How To Focus In An Open-Plan improvement exercises, improve How To Focus In An Open-Plan power, how to have good How To Focus In An Open-Plan, how to have good How To Focus In An Open-Plan in studying, how to build up your How To Focus In An Open-Plan, how to improve How To Focus In An Open-Plan how to improve How To Focus In An Open-Plan course in Singapore. 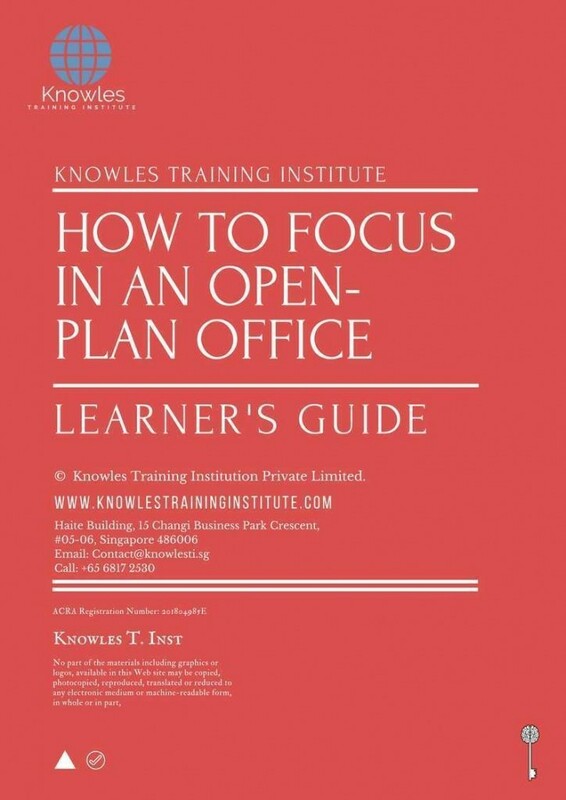 Enhance, boost, build up, enlarge, heighten How To Focus In An Open-Plan course in Singapore. Increase, intensify, raise, reinforce, strengthen How To Focus In An Open-Plan. Upgrade, amplify, boom, elevate, exaggerate, magnify, grow, gain How To Focus In An Open-Plan. Develop How To Focus In An Open-Plan, multiple, power up, beef up, bolster, establish, extend How To Focus In An Open-Plan. Invigorate, restore, step up, toughen, empower, fortify, regenerate How To Focus In An Open-Plan. Rejuvenate, renew, escalate, expand, maximize How To Focus In An Open-Plan. Powerful, mighty, impressive, competent, great, excellent, exceptional How To Focus In An Open-Plan in Singapore. Superb How To Focus In An Open-Plan. Super, superior, strong, solid, active How To Focus In An Open-Plan training courses and workshops in Singapore. How To Focus In An Open-Plan enhancement, booster, building up, enlargement, heightening, increment, strengthening, amplification. How To Focus In An Open-Plan magnification, growth, development, power, empowerment, regeneration. How To Focus In An Open-Plan rejuvenation, development, escalation, expansion. 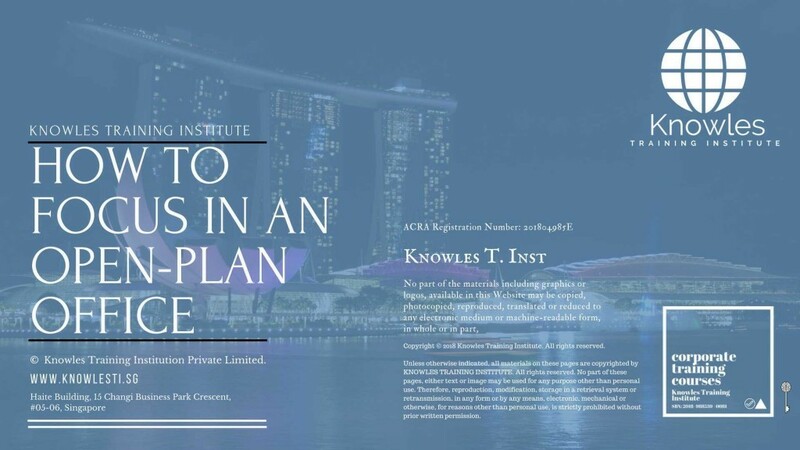 How To Focus In An Open-Plan maximization, power training courses & workshops in Singapore.